The Mongol army was always prepared, and the responsibility of collective alertness fell on the officers and the high ranking guards. Historians have studied the various rules of pertaining to such command posts within the army, and one of them pretty much sums up the dedication required from the officer. This particular rule says – the commander of the entire guard unit of a military outpost must himself stand alongside his own soldiers for the night watch. The officers were also expected to inspect each and every soldier’s equipment under his command, and make sure that even their repairing gear (like needle and threads) were in order before a battle. And, while on march, the officer along with the next-in-line soldier were responsible for dismounting and picking up the gear accidentally left off by the preceding troop. Among many things the Mongols were not known for their vanity. So the ‘fad’ of wearing a silk shirt beneath the armor was inculcated out of necessity rather than a style statement. Silk is known to have fibers that can potentially cushion the impact of an arrow. More importantly, it was a common medical knowledge that a barbed arrow did more damage went pulled out from the skin, rather than when penetrating the skin during impact. The silk fibers came in handy during such injurious scenarios, because they twisted along the pierced arrow point – which made the act of pulling out the arrow much safer and clean. 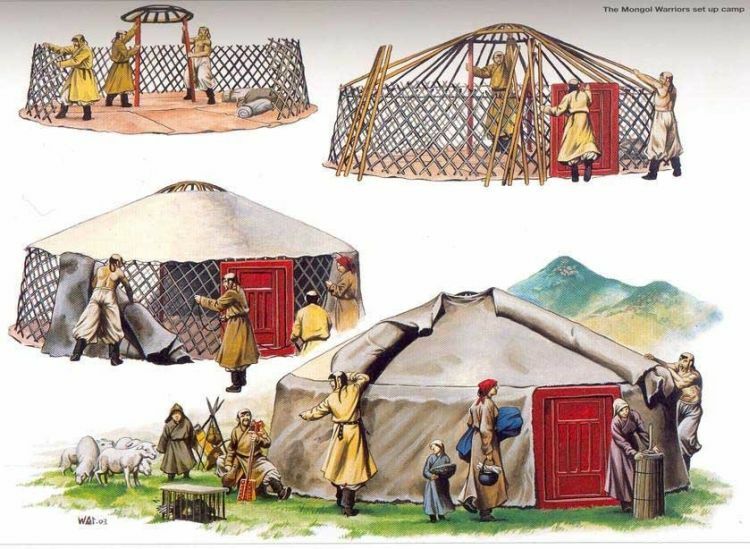 The ger, which is often incorrectly termed as the yurt, can easily be counted among one of the most practical pre-fabricated abodes that is still in usage. Basically a circular-shaped habitat that is built upon a framework of wood covered snugly in insulating pelts, the protective structure was kept in place with the help of sturdy pegged ropes. Interestingly enough, an open-air recess is kept at the top apex-point of the circle for smoke release, while every entrance doorway faces south (which was considered sacred by the Mongols, so much so that anyone found blocking the doorway could have been sentenced to death). Even on the inside, the ger was spatially divided into men’s quarter, women’s quarter and a separate elder’s quarter – thus alluding to spatial efficiency and defined user circulation. And, in tune with the Mongol’s aptitude for mobility, the entire wooden framework could be folded and carried atop mules for speedy relocation from area to another. 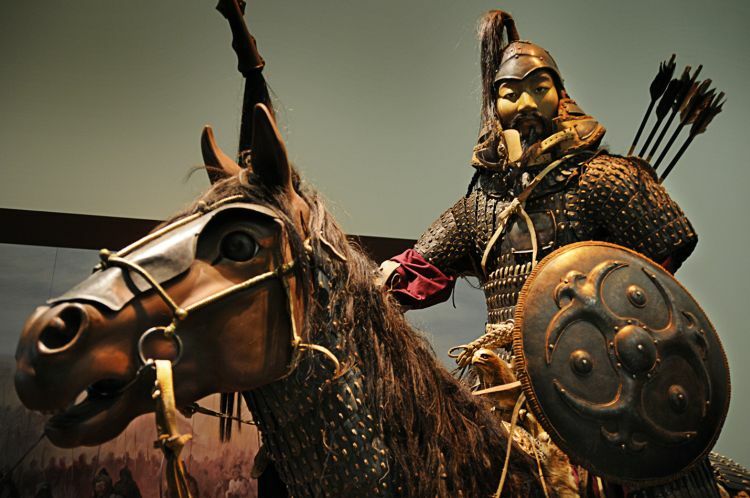 For Mongols, warfare was akin to hunting, and in both cases they were the predators. In that regard, the call up for each winter hunt was viewed as being as serious as the call-to-arms – with the entire endeavor replicating a military campaign. Grand plans were hatched to choose the particular grounds for hunting, and every soldier participating in the complex exercise was given a specific role to fulfill. Oddly enough, the Mongols were forbidden (on pain of death) from harming any of the animals before they were surrounded and gathered in to a cordoned area. Finally, the Great Khan was allowed to make the first kill, after which his generals joined in, and later on the soldiers added to the massacre of wild life – that ranged from wild boars, gazelles to Siberian tigers and wolves. The incredibly vicious exercise was seen as a lesson of fine tactics for the upcoming officers, and as such historians have found similar strategies being implemented in renowned Mongol victories like the battles of Mohi and Leignitz. 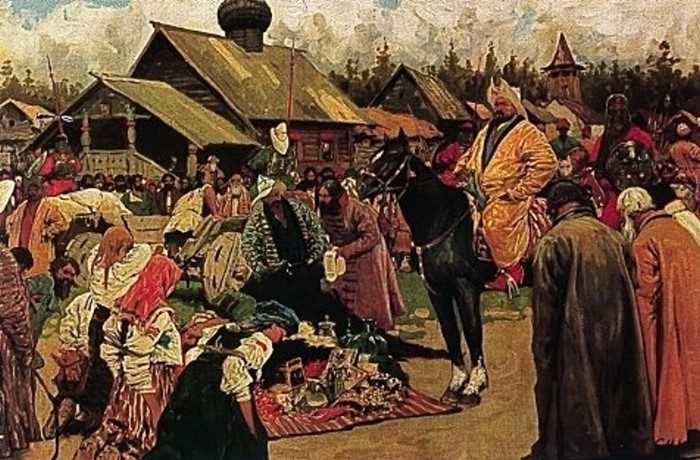 The Mongols not only dared to invade Russia during the winter season of 1237-38 AD, but were also successful in turning the bitter conditions to their advantage – as opposed to Napoleon’s and Hitler’s forces. And, while it may seem audacious on their part, the momentous decision made at the Kurultai was based on the pillars of practicality. 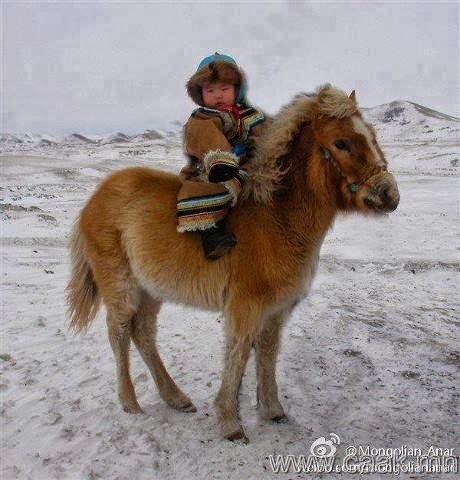 To that end, the frozen rivers and lakes allowed crucial junctures of unbroken communication paths for the mobile bodies of troops, while the hardy Mongol pony also had the remarkable capacity to forage in snow. Quite antithetically, the Mongols planned to invade Iraq in the spring of 1258 AD so as to avoid the onslaught of both heat and malaria. 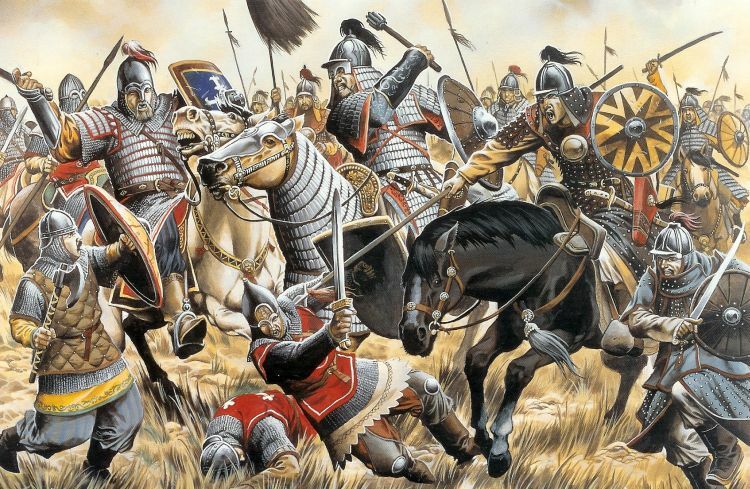 13) The ordinary Mongols soldiers paid their leaders, not the other way around! In spite of their seeming professionalism in the ‘art of war and destruction’, the Mongols were not paid soldiers. 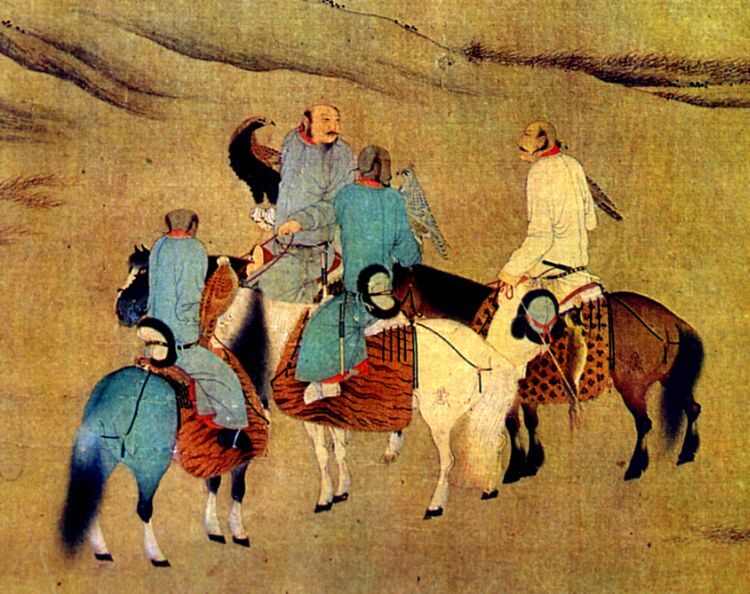 In fact, every Mongol soldier was required to pay his own master or leader from the spoils of war that he had captured during a campaign or military raid. In essence, it was the loot that formed the basis of payment, which was shared among the collective horde, with increasing quantities being allocated to the top level hierarchy of command. The regular Mongol soldiers seemed to prefer this system of loot distribution, as the values of these spoil allocations for rank-and-file warriors were often greater than (theoretically) regular pays of other sedentary armies. 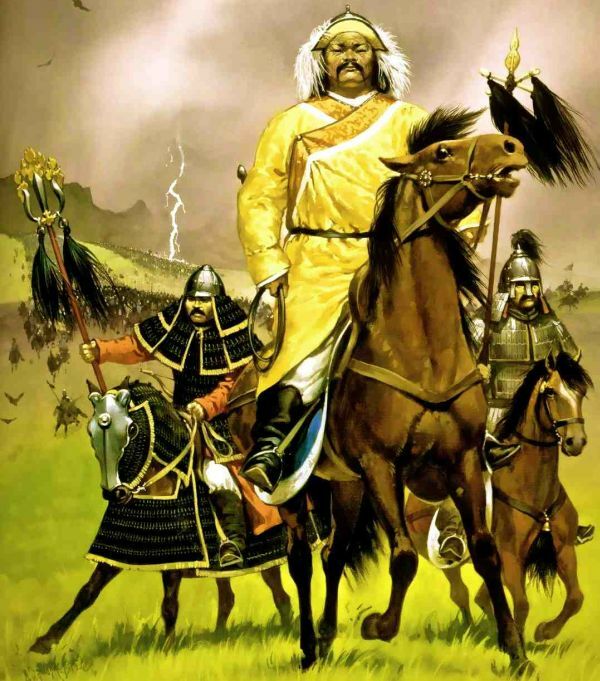 Furthermore, the Mongol military structure (especially their officer corps) was based on a merit system – so leaders who showed initiative and braveness on the battlefield were more likely to be showered with precious gifts, grazing lands, horses and even slaves. In the present danger of the Tartars either we shall push them back into the Tartarus whence they are come, or they will bring us all into heaven. 7 Comments on "14 intriguing things you might not know about the Mongols"
LOL, they definitely used compund bows, using wood, horn and sinew. 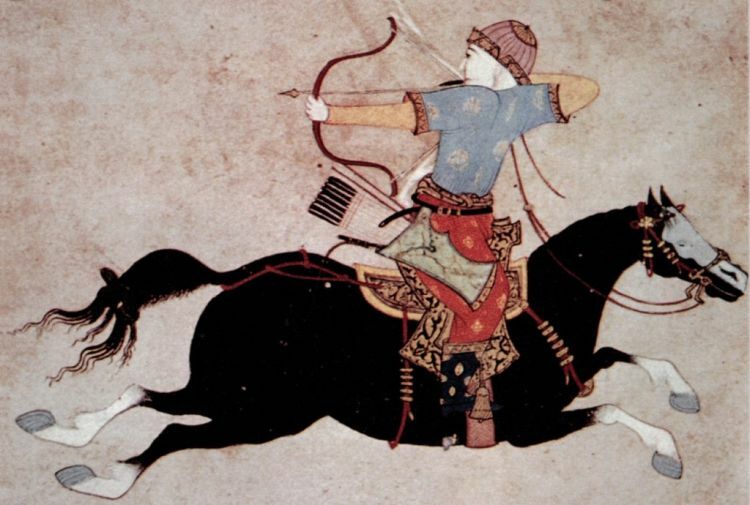 Their bows had greater range when compared to most of their opponents, ie till they fought in Central Asia. 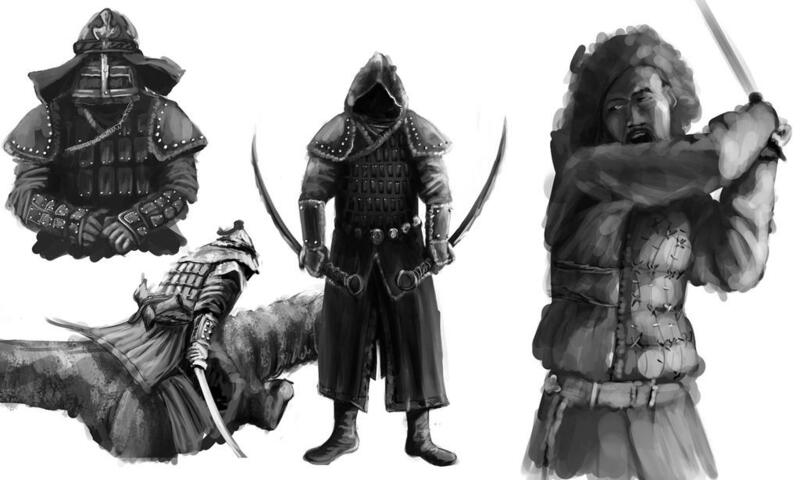 The jin longbows, crossbows etc were all dwarfed by the mongol recurve bow when it came to power and range. Not to mention it was compact, so easier to fire from horseback. . It is entirely basic. The acclaimed fights (all around archived ones) in which the Mongols took part and developed triumphant (and by Mongols, we mean the underlying Mongols – not their successor states in the fourteenth century), like the Mongol attack of Khwarezmia and Eastern Iran, Battle of the Kalka River, Battle of Mohi or even the Battle of Liegnitz, they were basically dwarfed by their adversaries. Notwithstanding amid strikes and attack periods, their armed force was given the ‘character’ of gigantic scale – rather than it being really tremendous in nature by their adversaries’ norms. In any case, the Mongols were constantly very much provided with stallions – and their steeds dependably dwarfed their enemies. I would think that yer becoming yurt is the natural morphing of language.